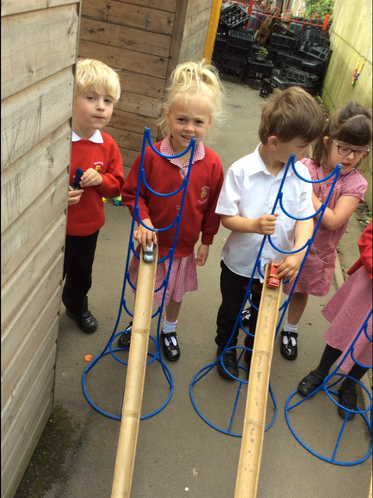 Wow what can we say! 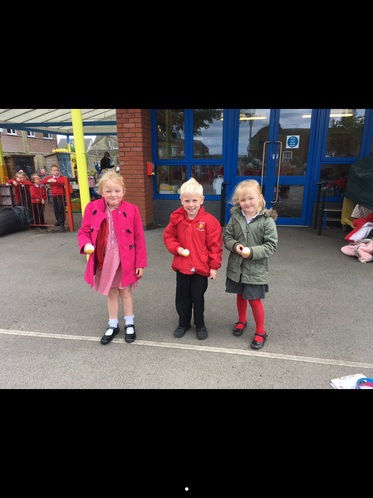 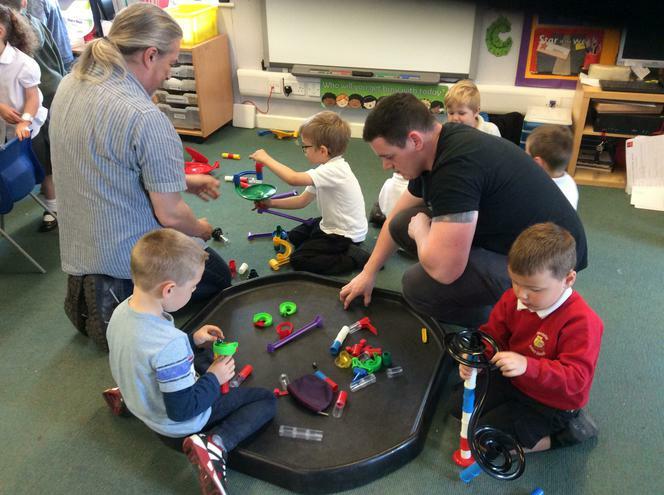 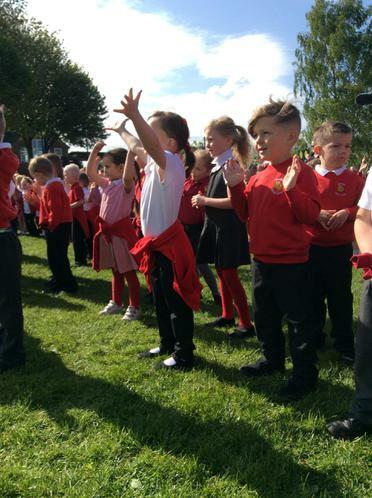 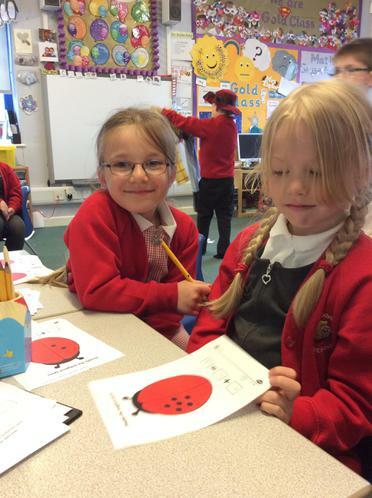 Welcome and well done to our new starters in Foundation Stage this week during transition week. 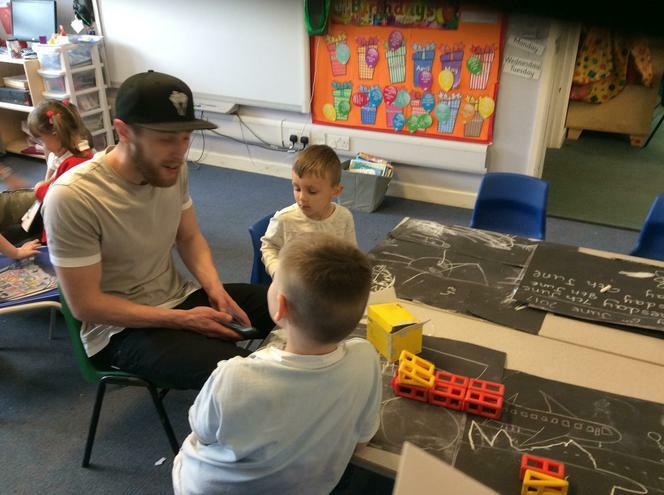 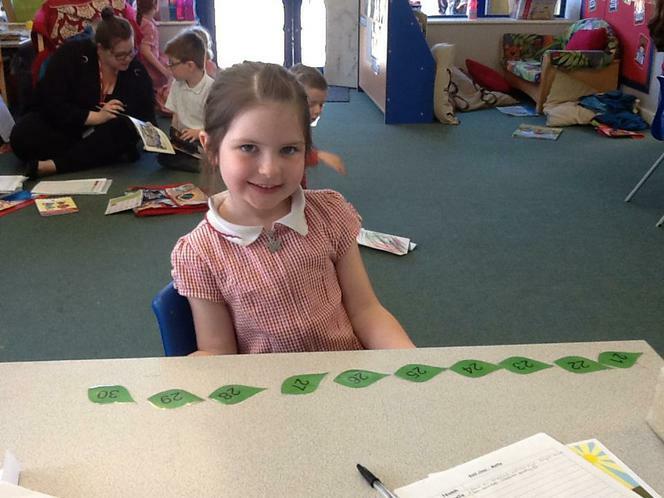 You have come into school with big smiles and ready for school and have listened on the carpet to your new teacher. 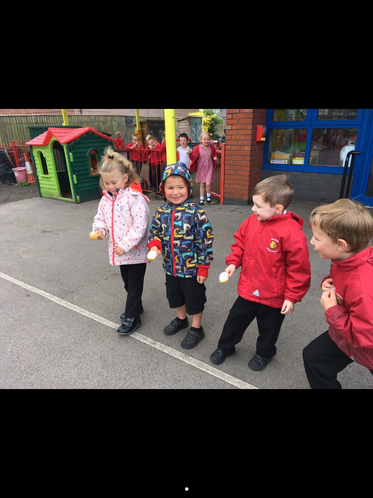 We have received letters from a super hero called The Incredible Learner and gone on a walk to find a villain around the main school building. 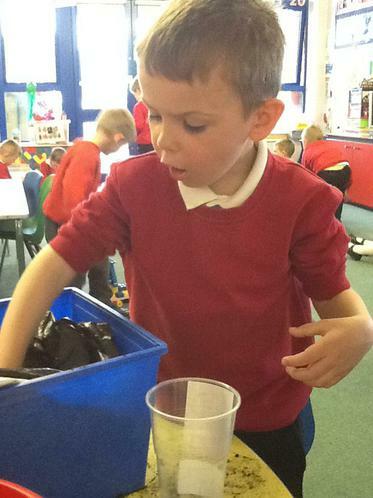 We have explored the Foundation unit in all three classes and enjoyed our very first lunch in the hall. 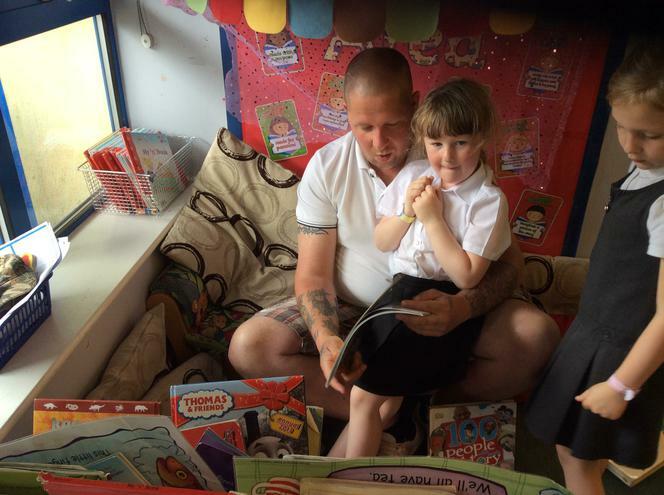 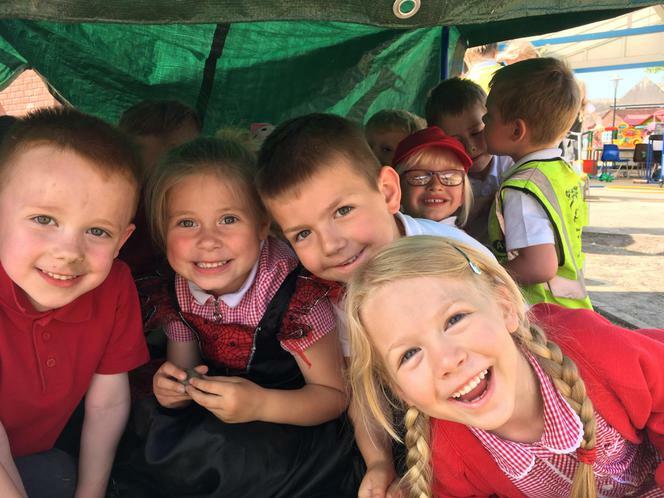 We are very much looking forward to the new school year. 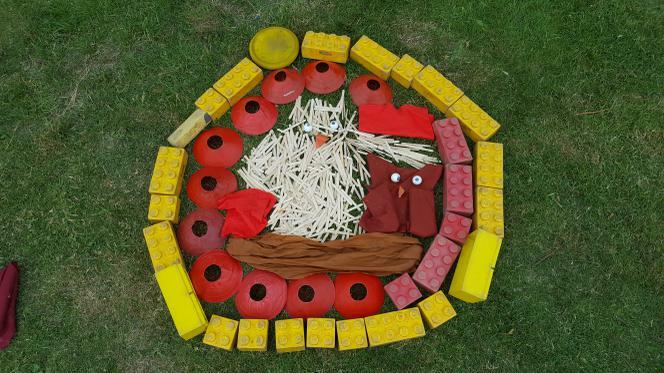 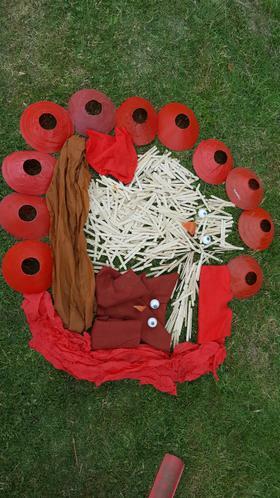 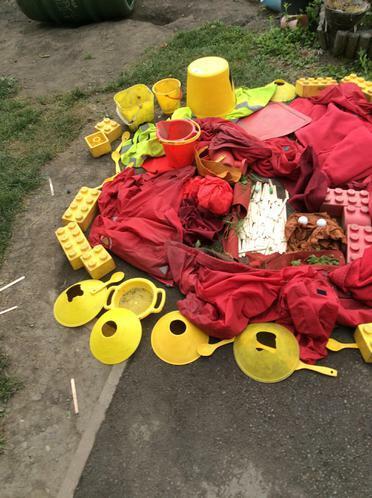 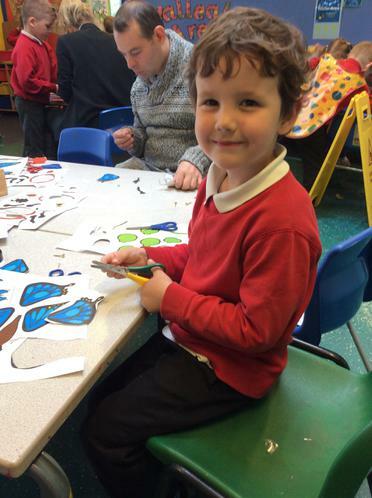 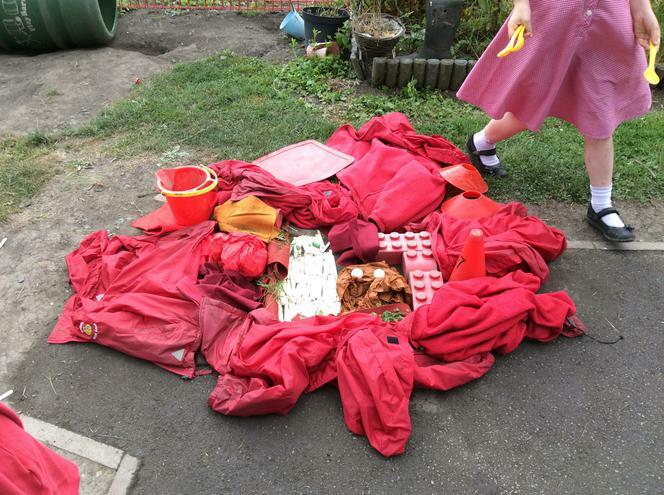 This week we have been busy making our own version of Art Attack! 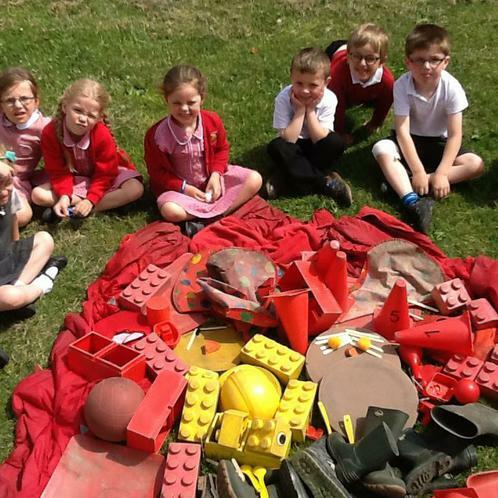 All three classes designed a 'big art' and also a variety of 'quick arts'! 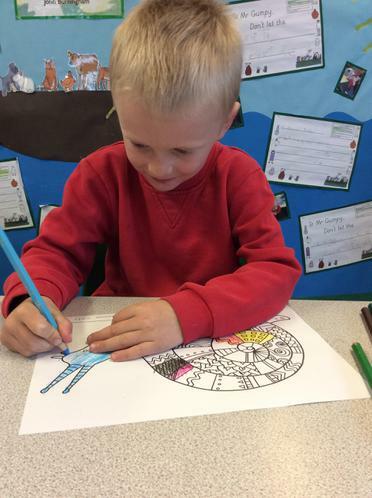 We decided that for the big art we would design our school logo. 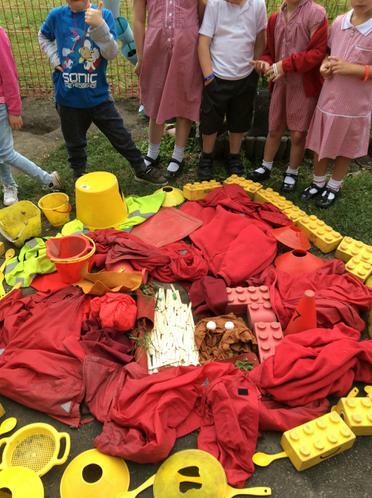 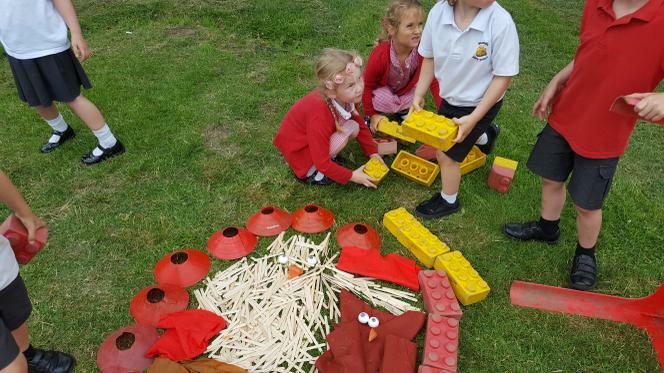 The children took it in turns to help design the masterpiece! 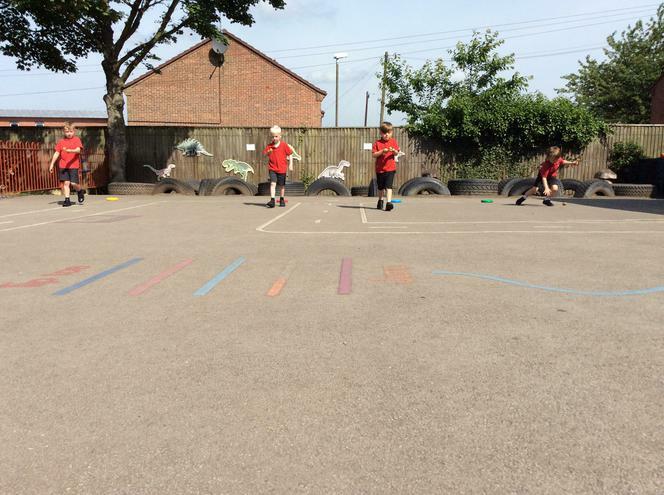 This week the children have had lots of fun exploring sports day, looking at similarities and differences between now and Victorian times. 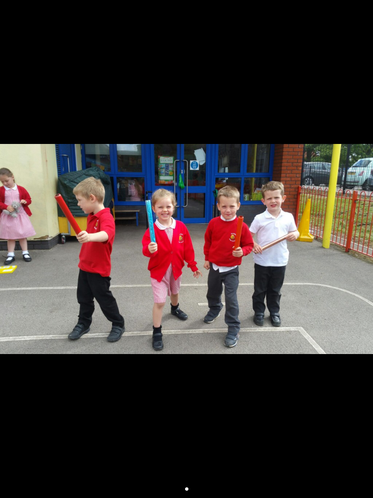 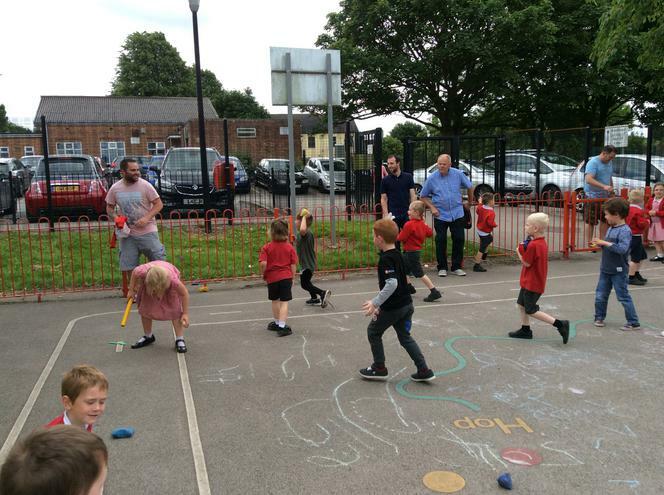 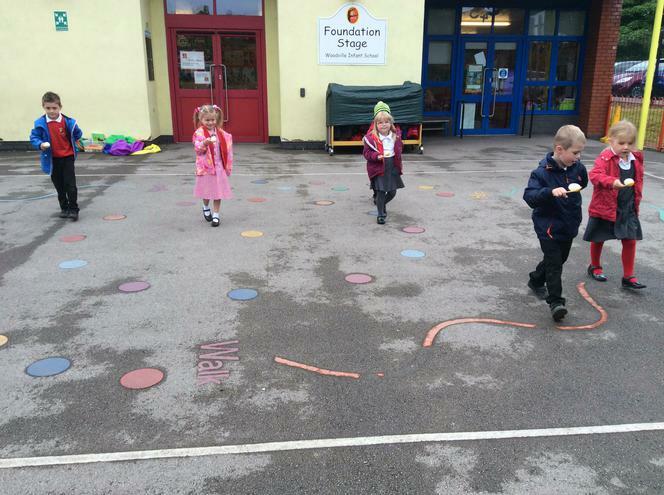 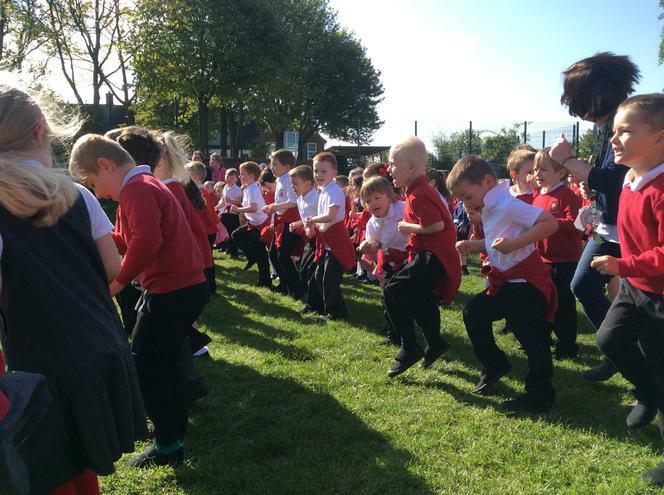 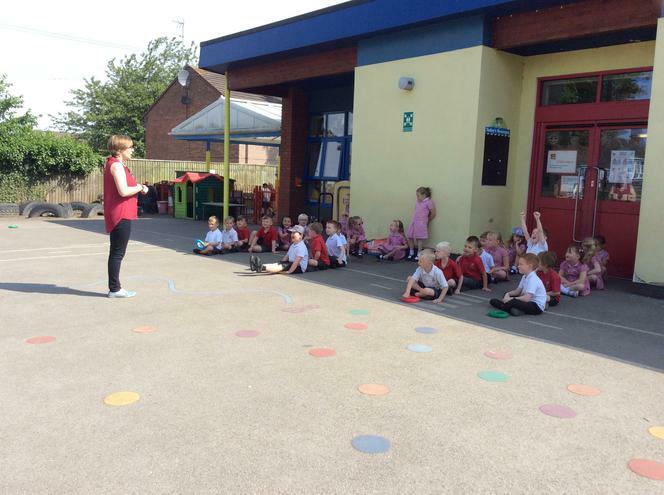 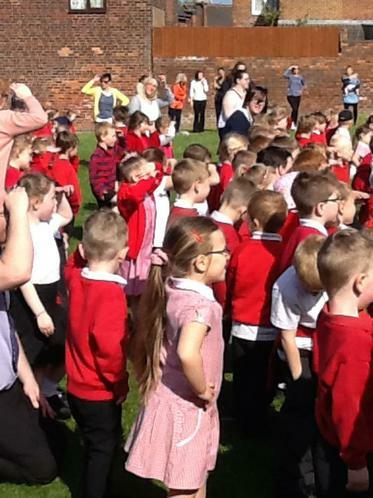 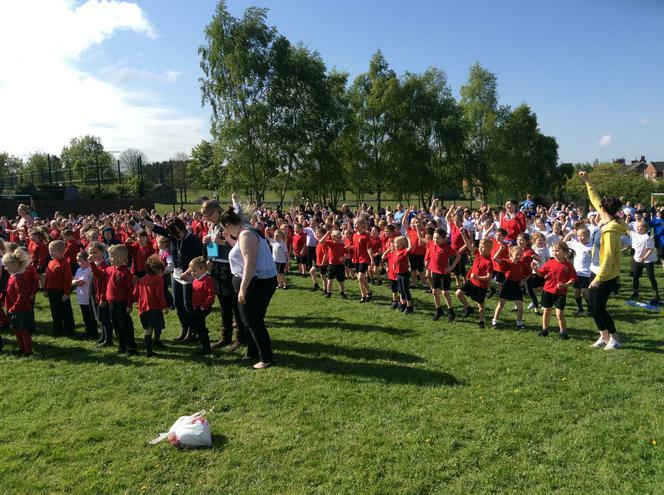 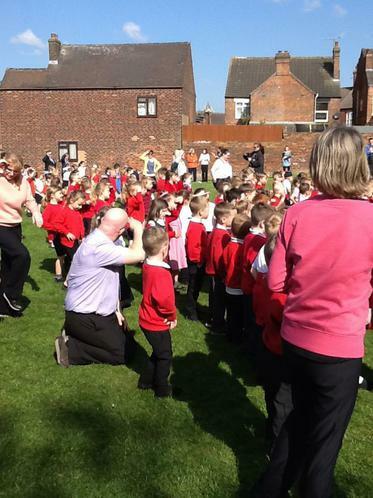 The children enjoyed taking part in the sac race, egg and spoon race and the relay race. 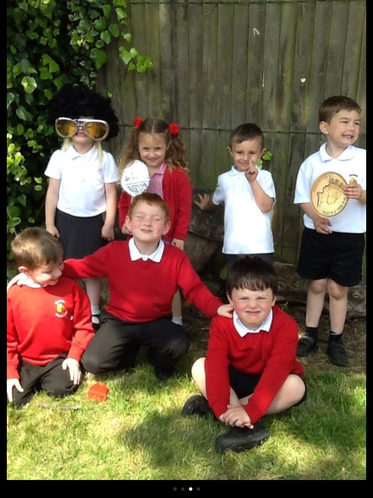 All the grown ups are extremely proud of all the children for their independent writing this week. 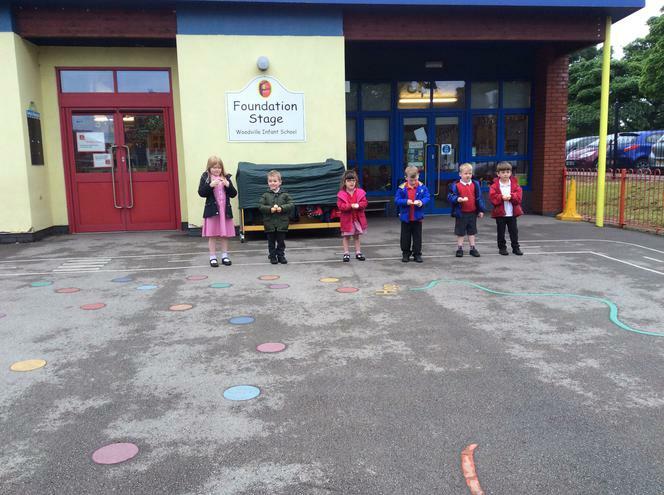 They have all tried really hard. 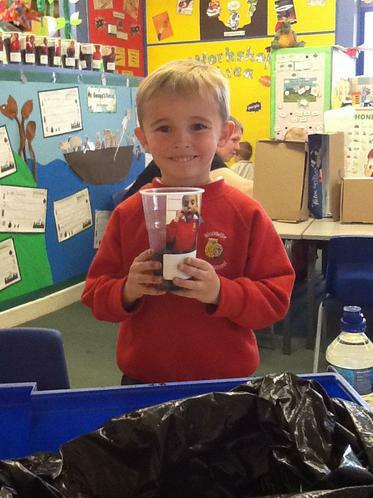 Well done. 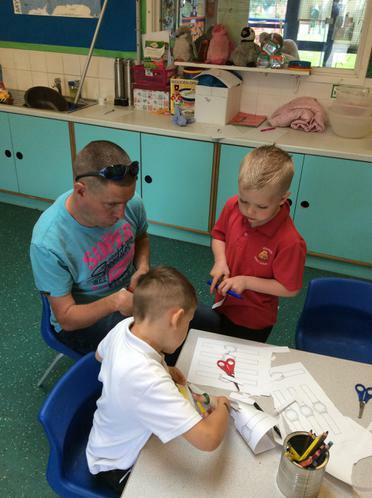 And to finish the week we celebrated fathers day with Dinner with Dads. 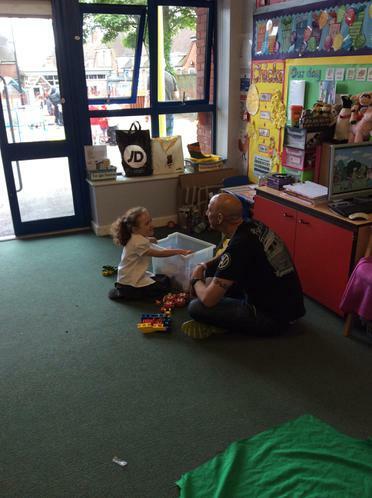 It was wonderful to see so many dads, grandads and uncles. 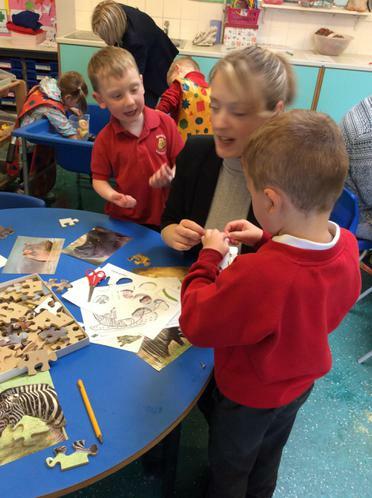 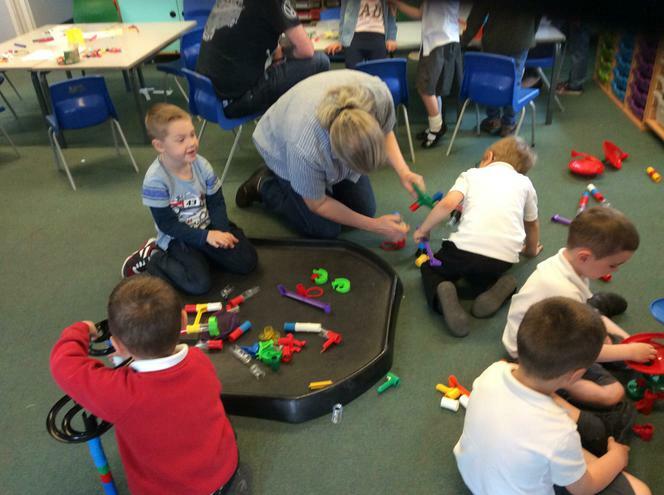 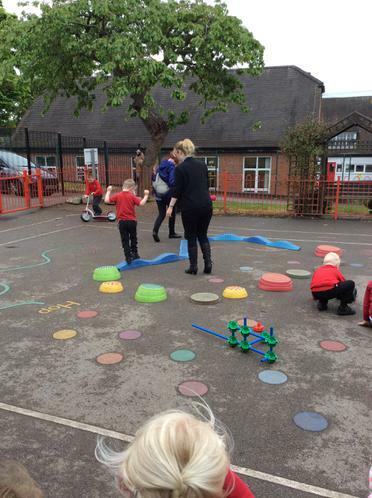 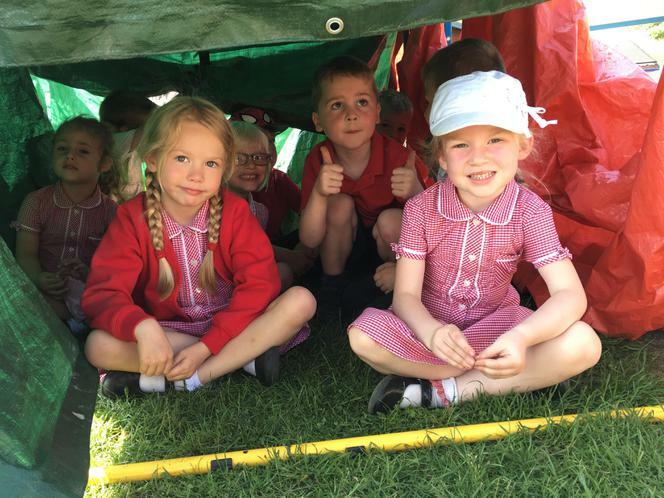 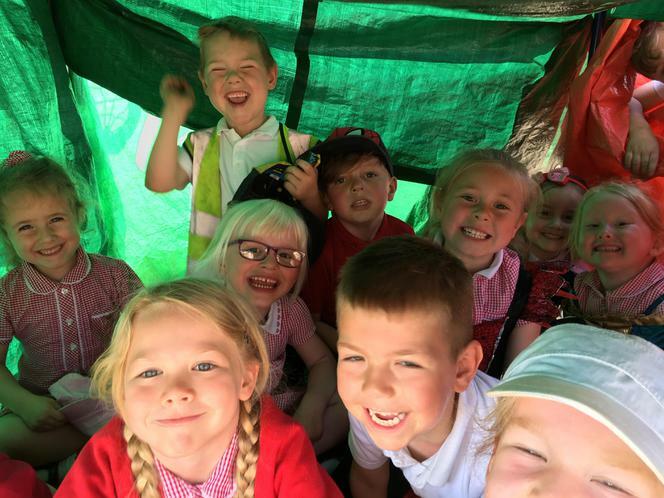 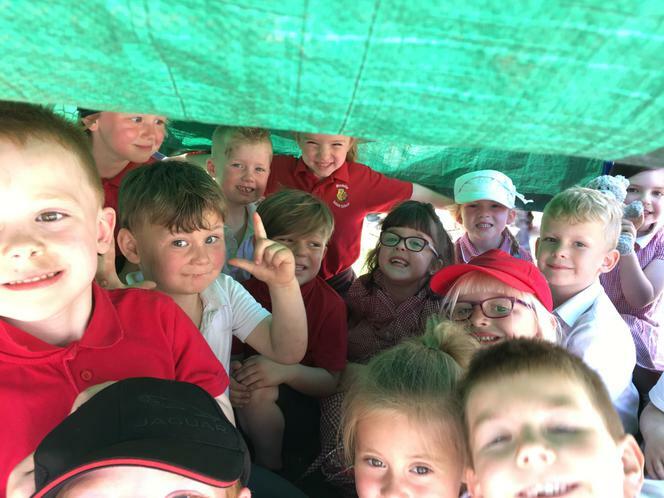 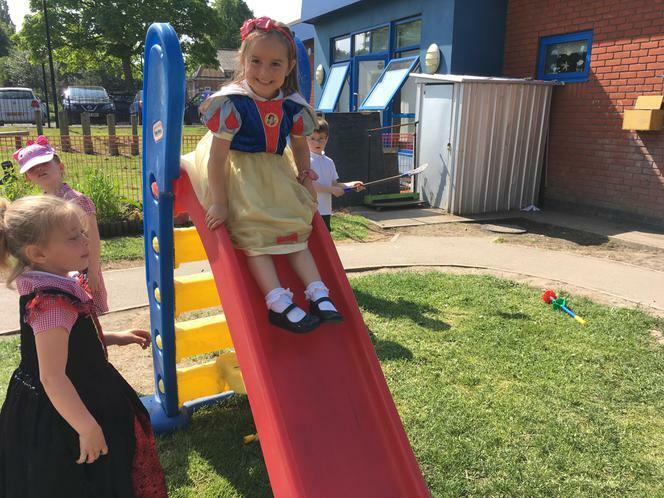 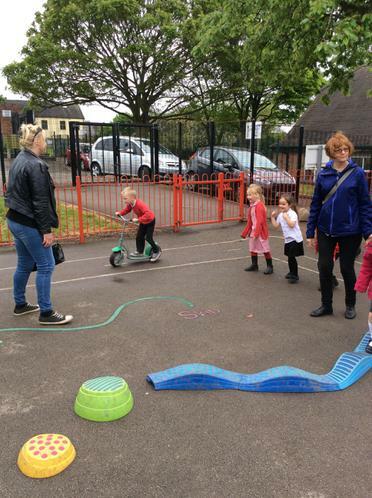 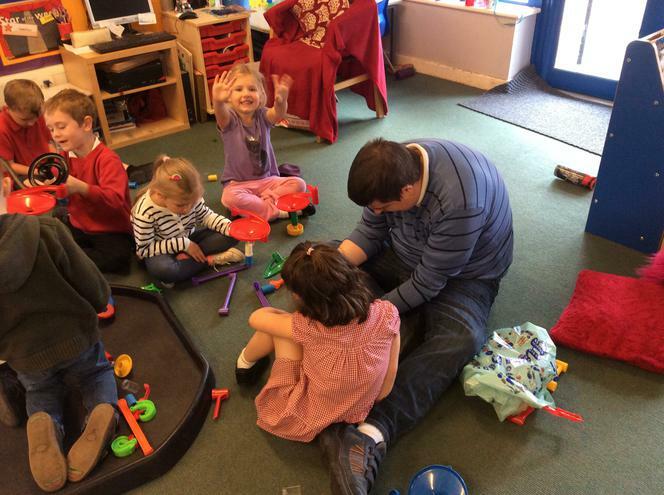 All the children had lots of fun. 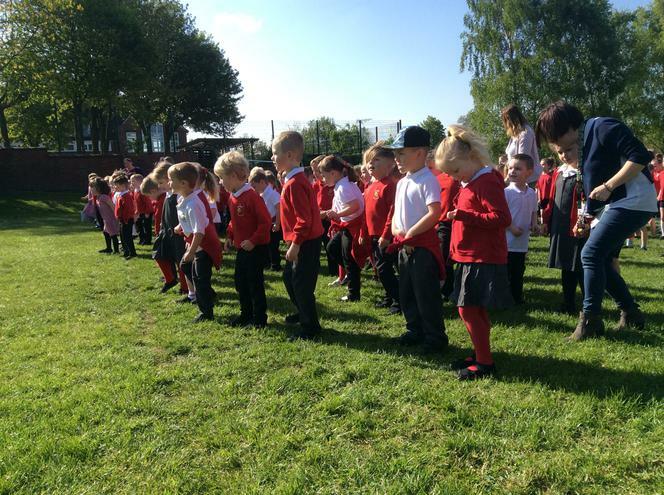 Welcome back everyone. 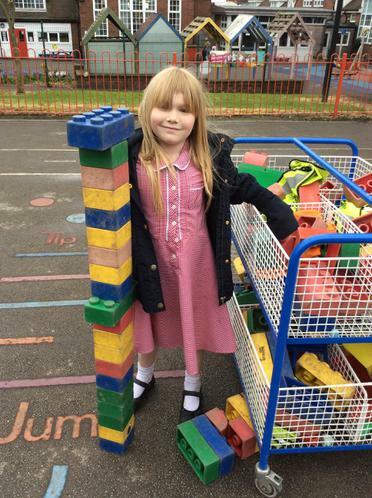 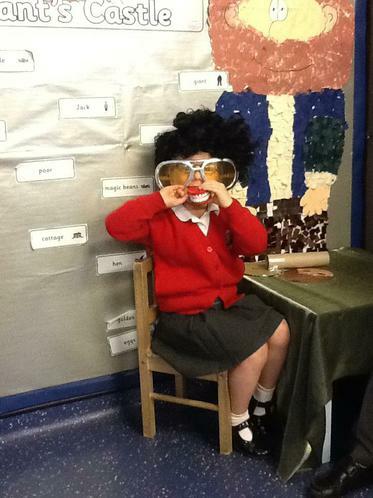 We hope you all had a lovely half term. 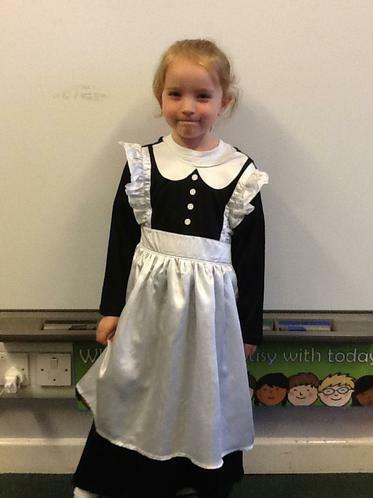 We have had a super start to our new Centenary topic. 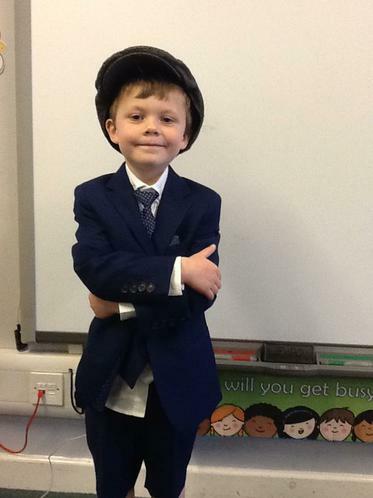 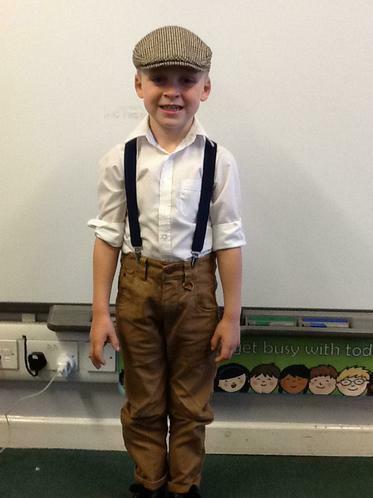 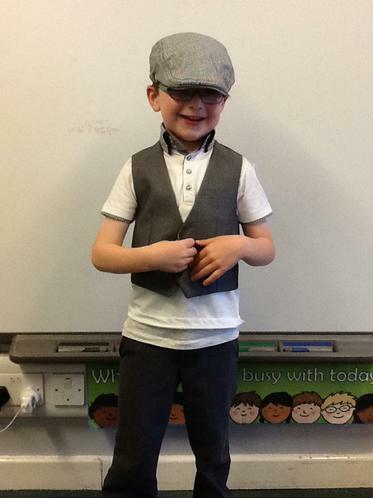 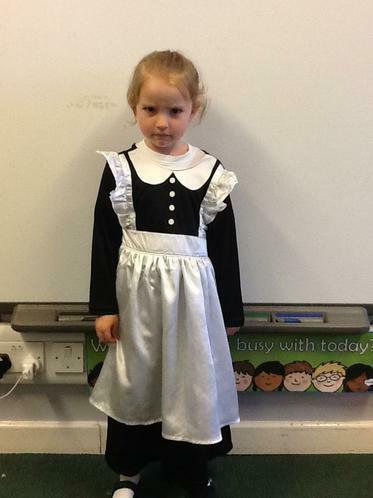 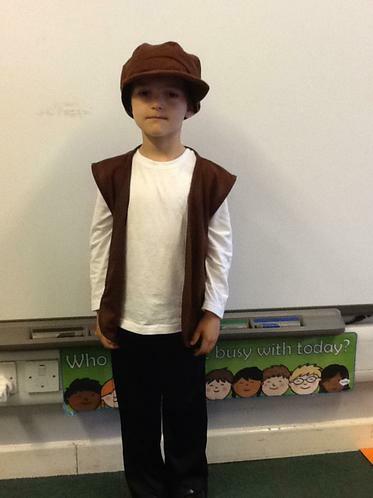 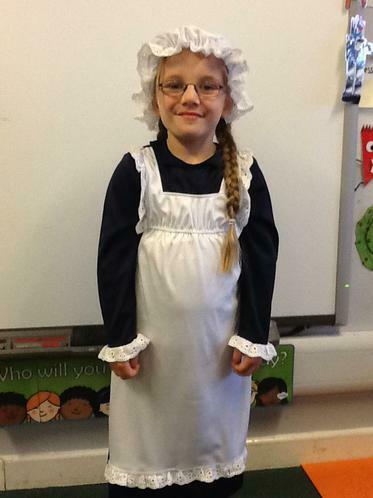 The children came dressed as Victorians on Tuesday, they all looked fabulous. 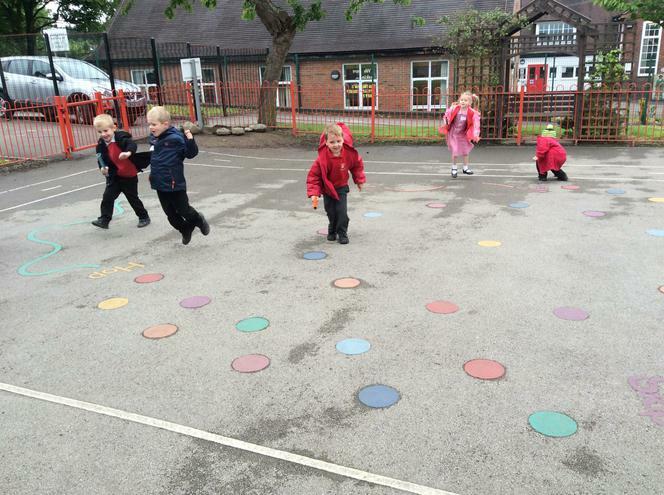 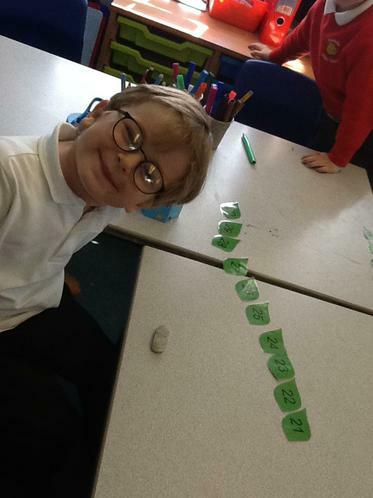 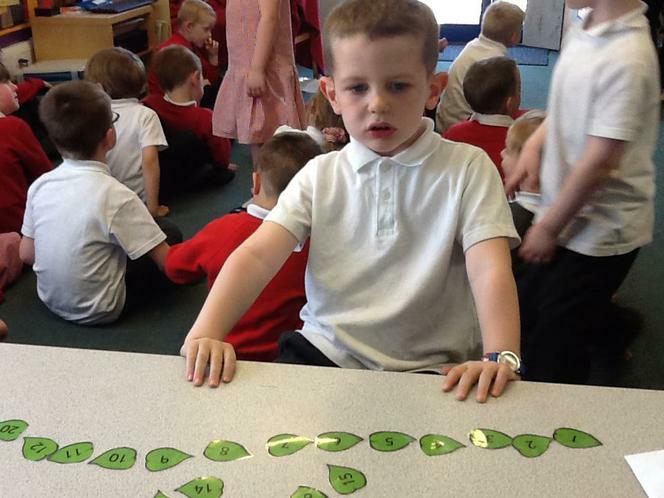 In Numeracy we have been learning about ordinal numbers and distance. 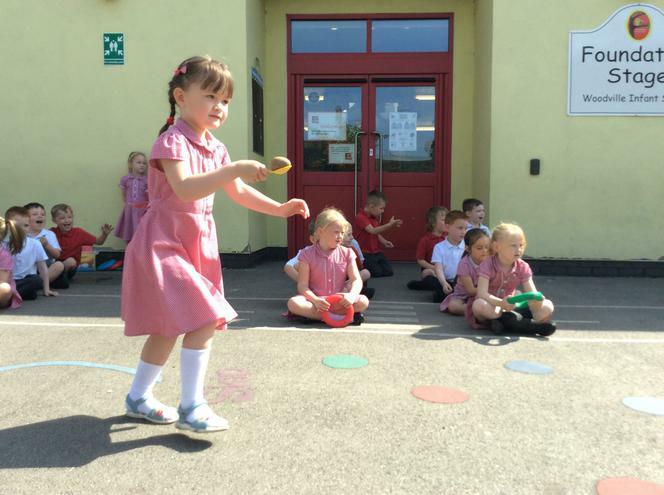 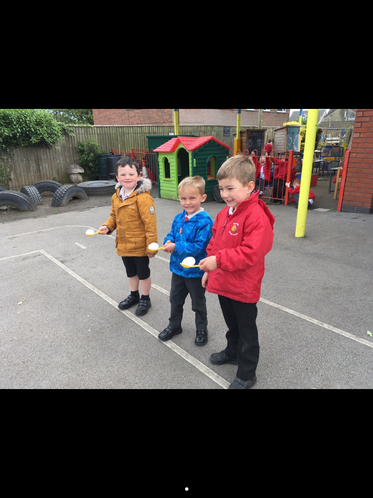 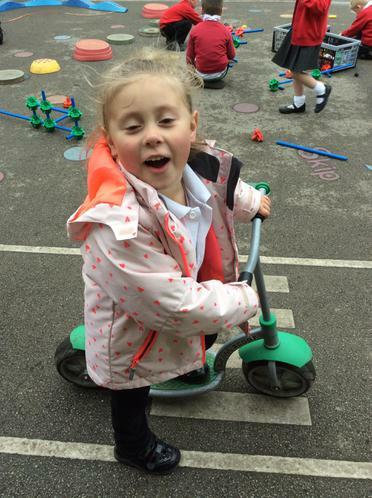 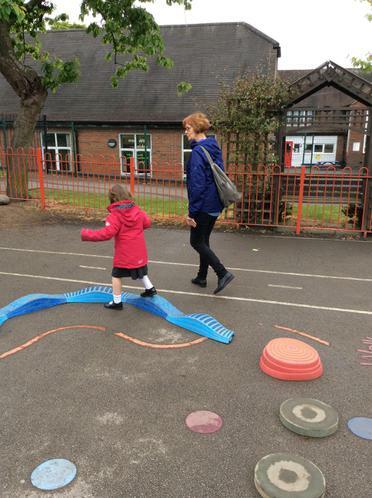 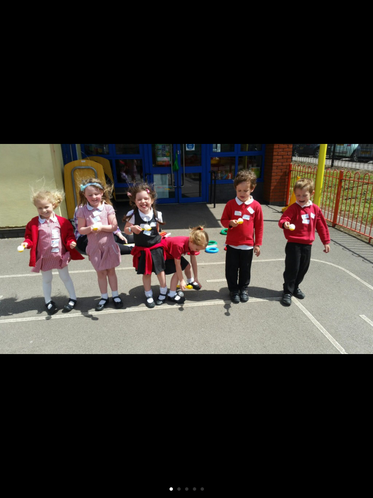 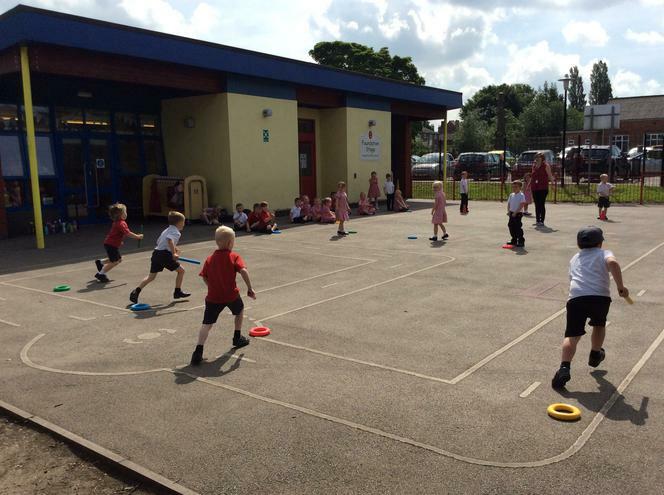 We had a selection of races such as egg and spoon, balancing a quoit and running. 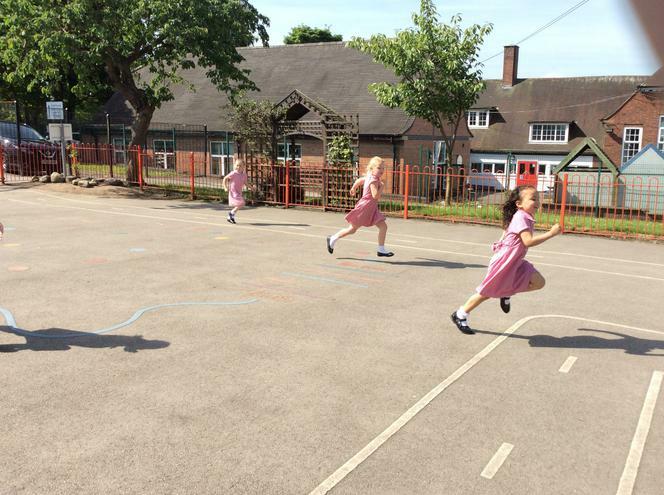 The children then worked out who came 1st, 2nd, 3rd and 4th. 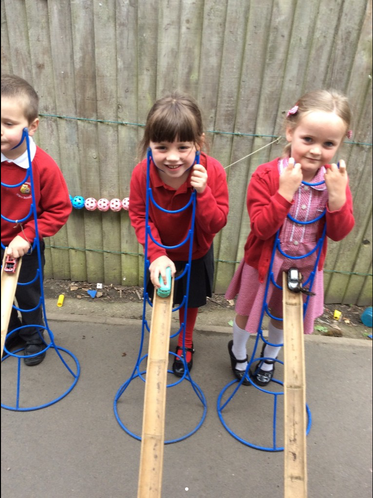 We have also measured how far an object can travel. 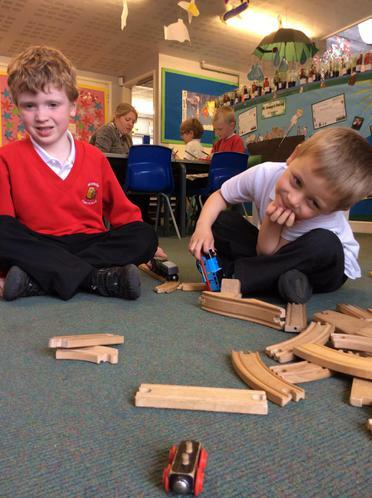 We pushed trains down a ramp and marked on the ground where they finished. 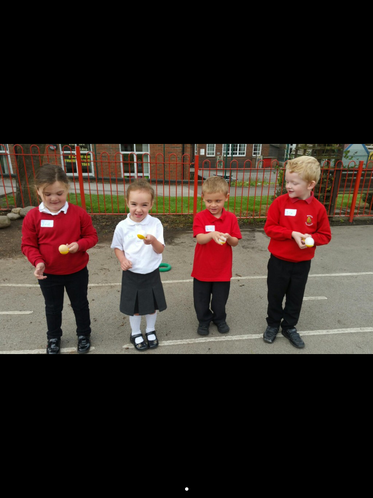 We spoke about which went the furthest. 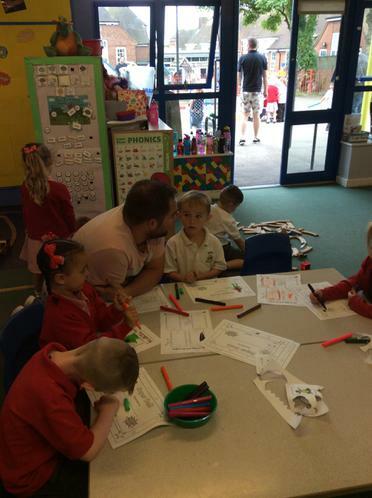 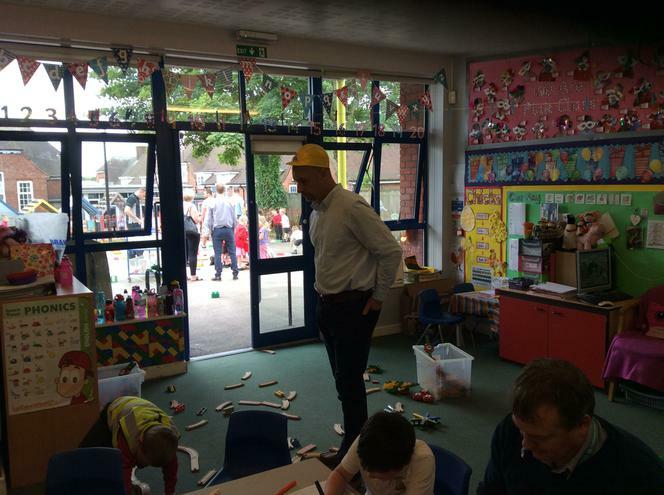 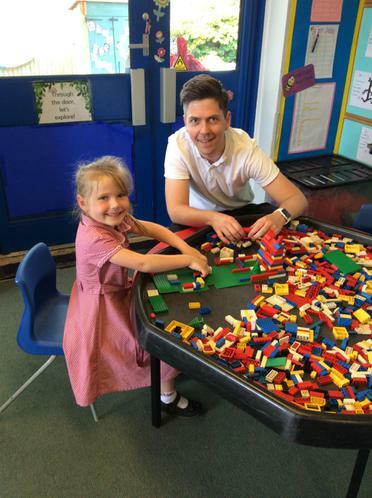 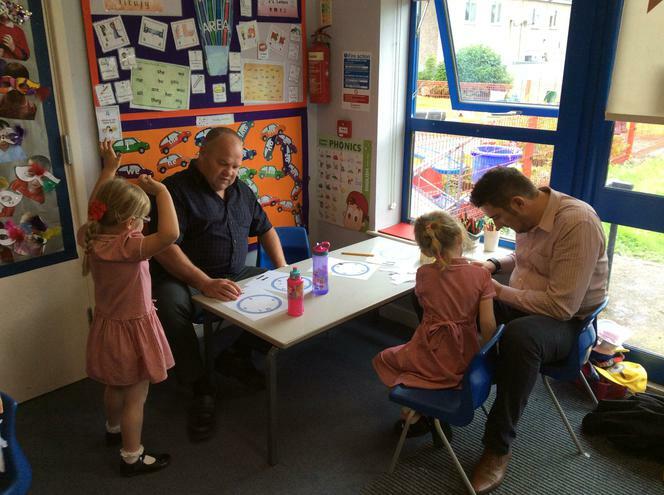 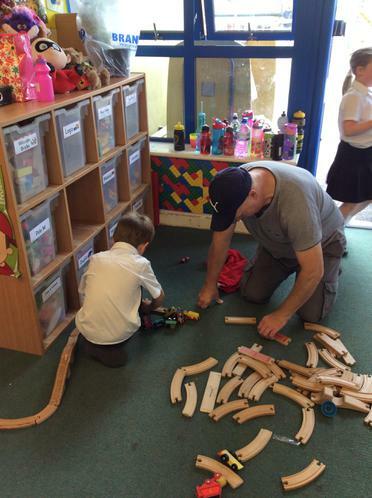 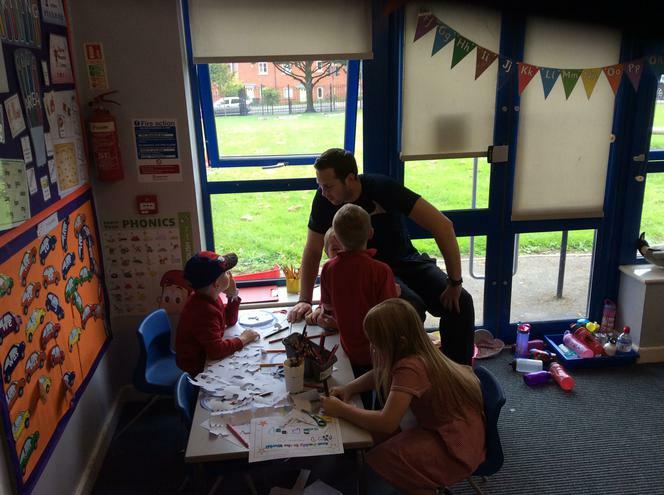 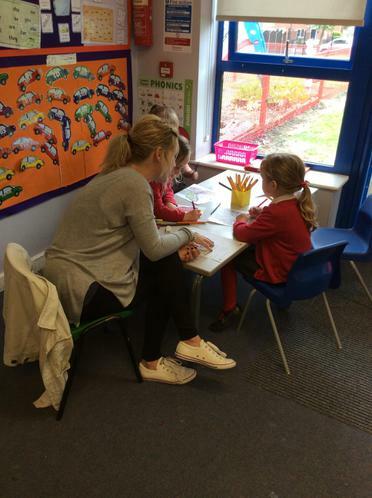 We kick started the week with open afternoon. 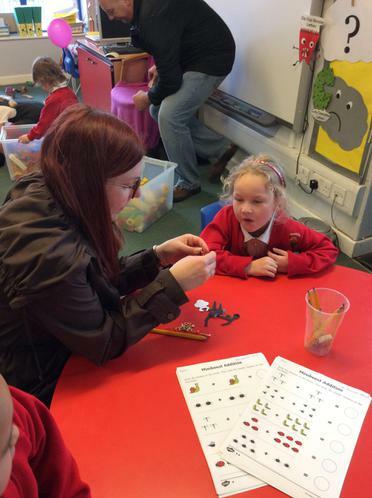 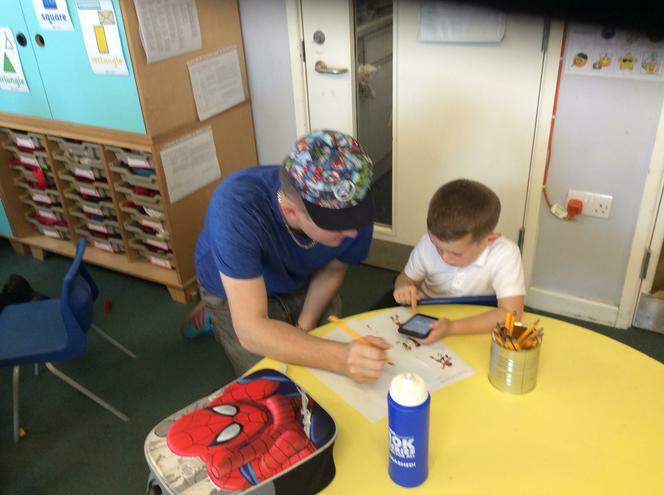 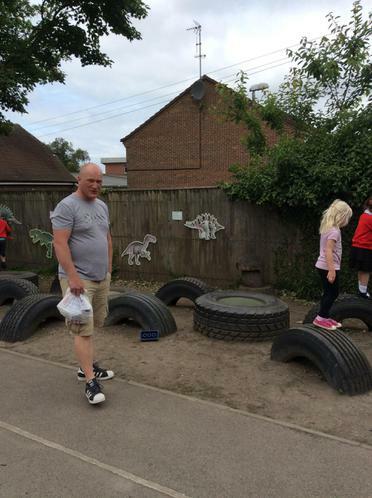 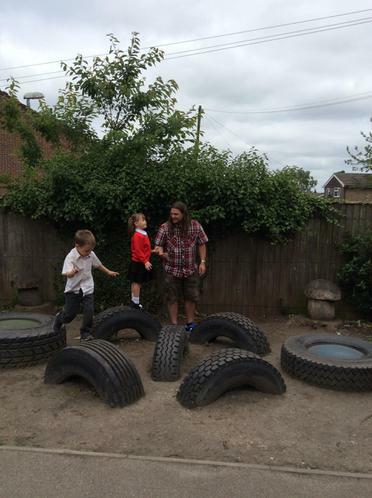 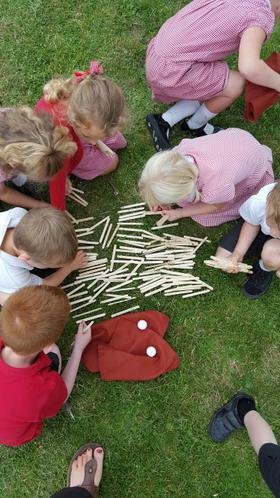 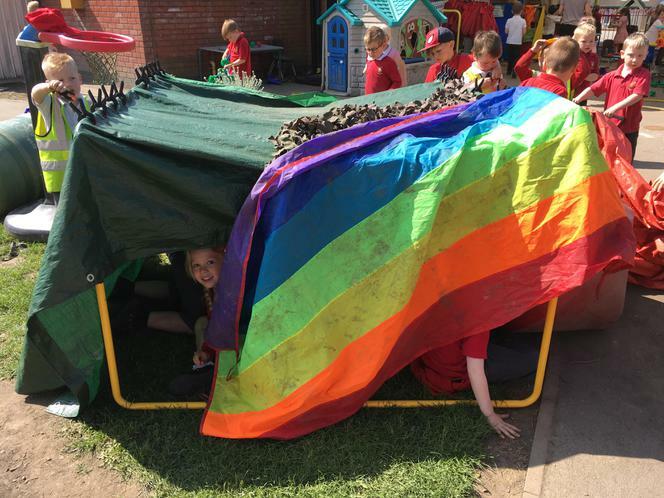 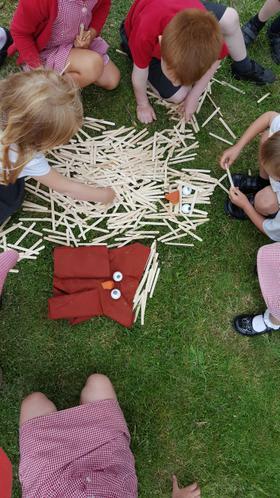 All the children had lots of fun completing mini beast activities and choosing from the other activities we had out. 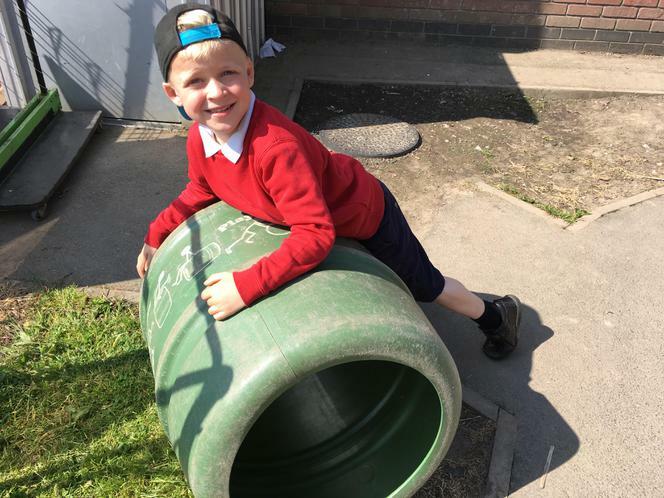 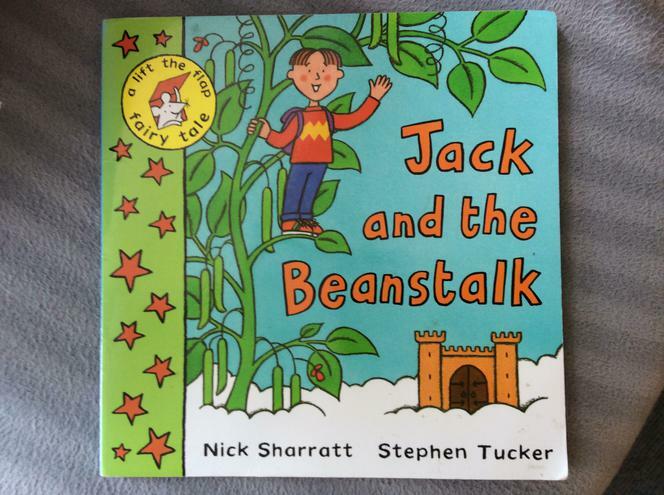 In literacy the children have read Jasper and the Beanstalk and wrote about what they would find at the top of Jasper's Beanstalk. 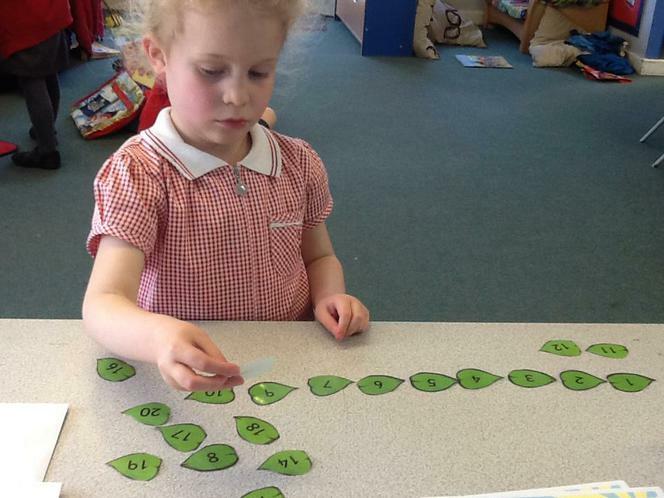 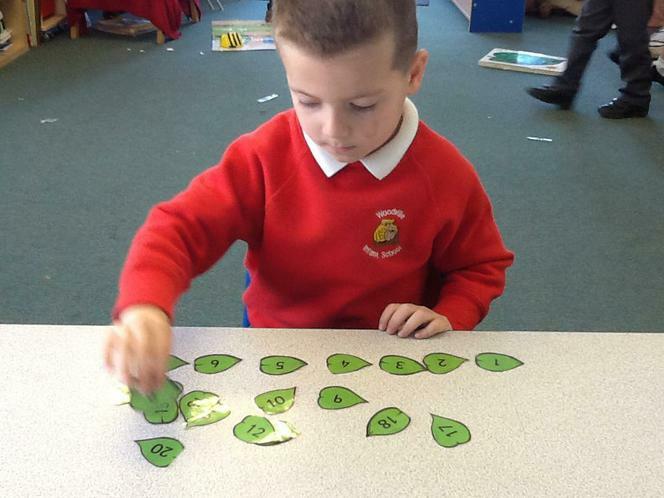 In maths the children have practiced careful counting and looked at doubling. 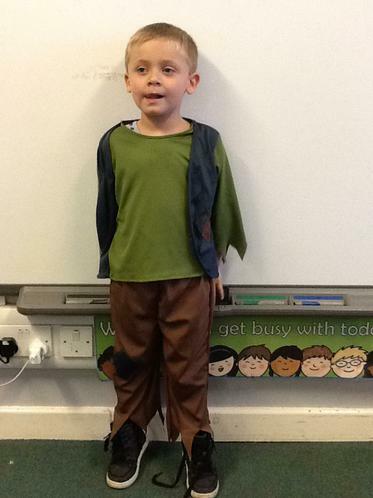 This week we read the story 'Jim and the Beanstalk'. 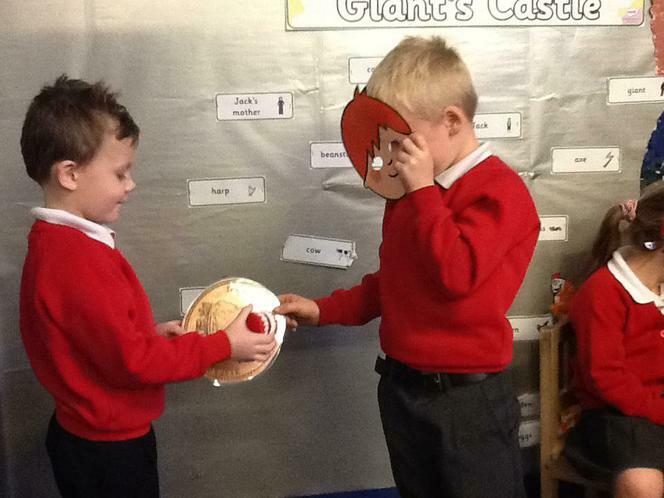 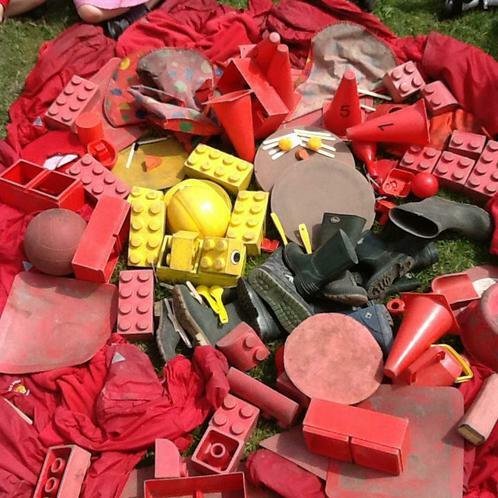 We then acted out the story in small groups using props. 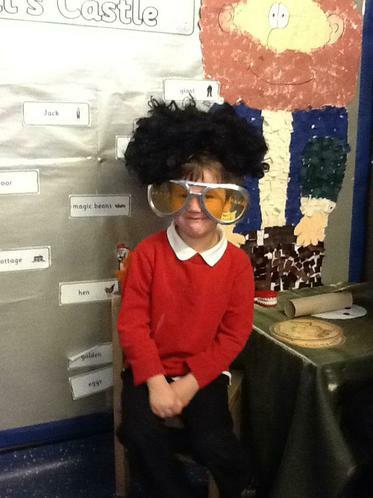 We had lots of fun wearing the funny wig and glasses. 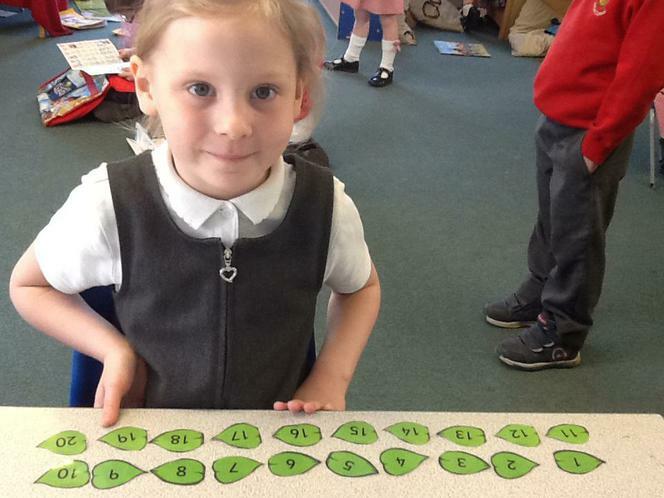 In Numeracy we have been working hard ordering numbers all the way to 30! 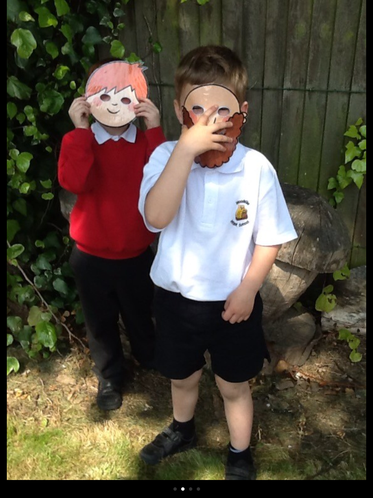 This week we have been using the iPad’s to take silly selfies. 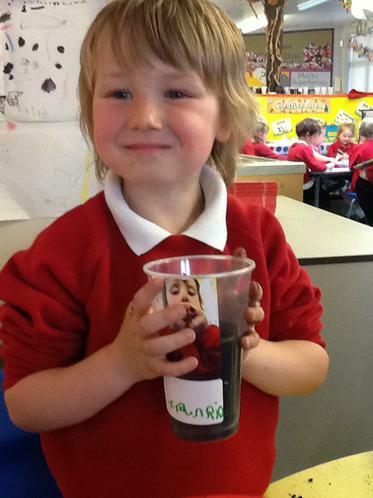 We stuck the selfies onto a plastic cup and then planted grass seeds. 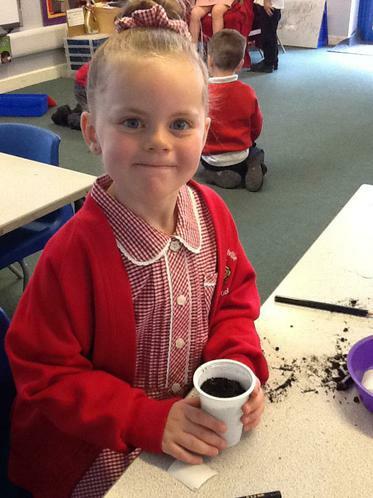 As the grass starts to grow it will look like it is the children’s hair! 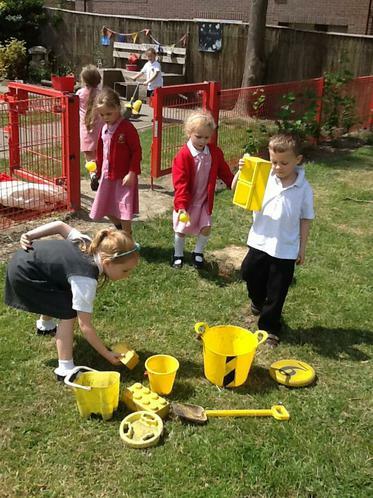 For the grass to grow healthily, they will need plenty of water and sunlight! 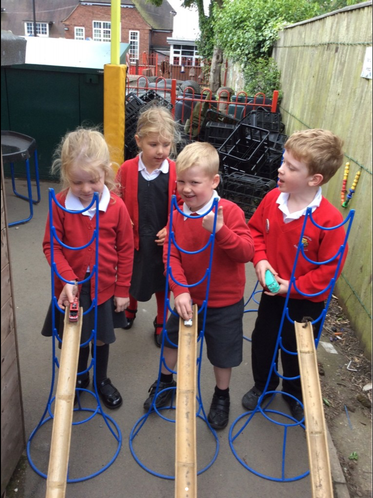 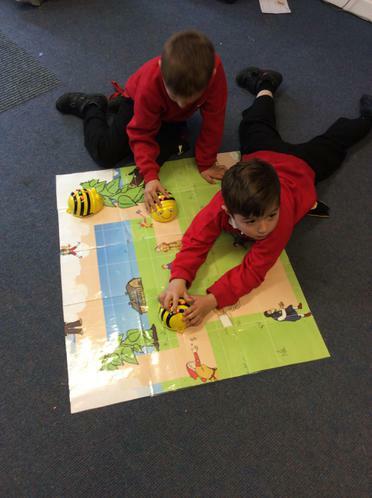 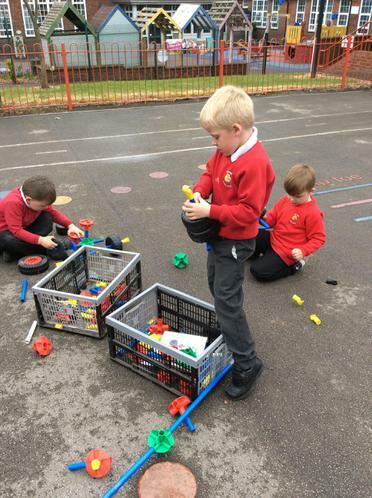 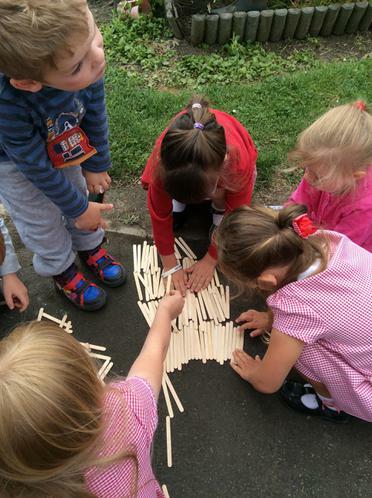 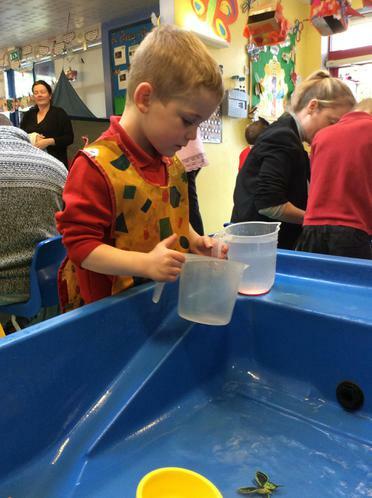 We have had a fun filled week, looking at our new topic. 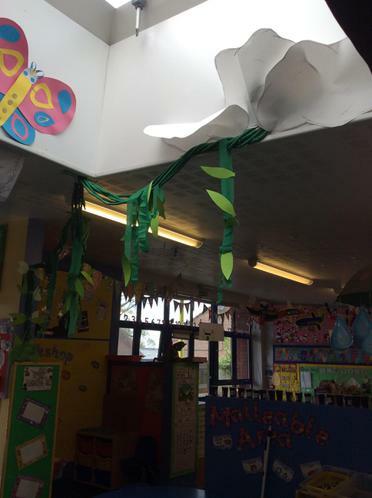 When the children came in they noticed a large bean stalk had grown in the middle. 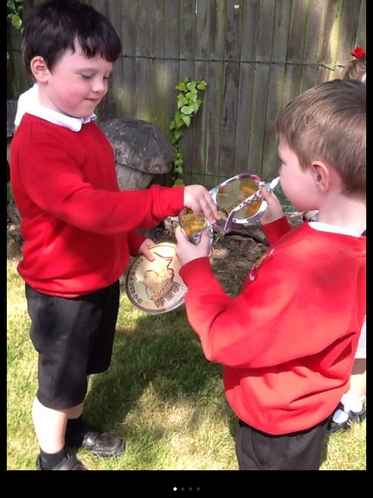 We talked about where it had come from and had lots of exciting ideas about what we would find at the top. 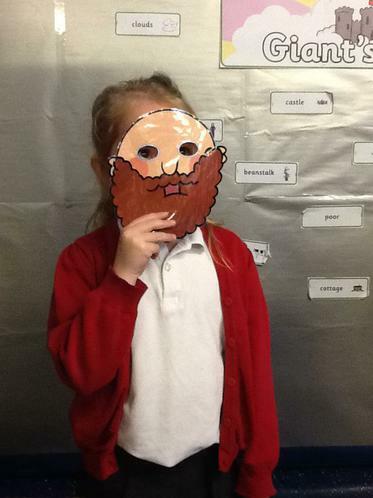 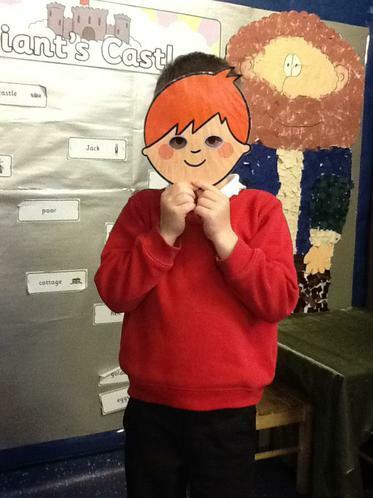 We have read a version of Jack and the Beanstalk and the children have looked at rhyming words and VIP words. 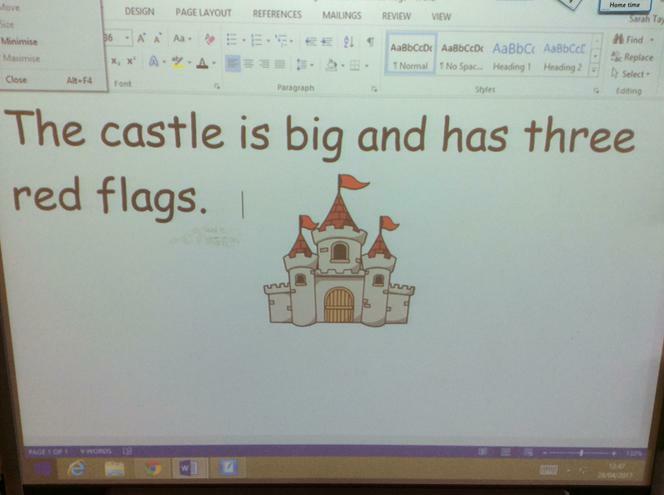 In maths the children have done some 2D shape printing of castles and in UTW we have looked at castles. 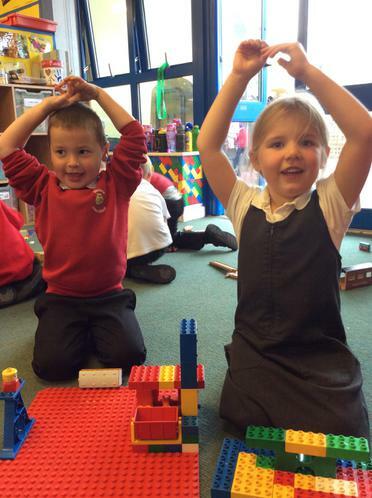 Could they spot the differences and similarities between a castle and their house? 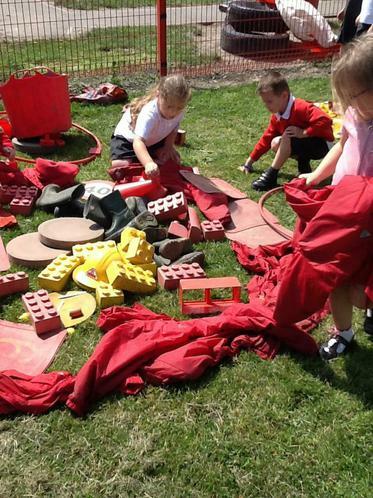 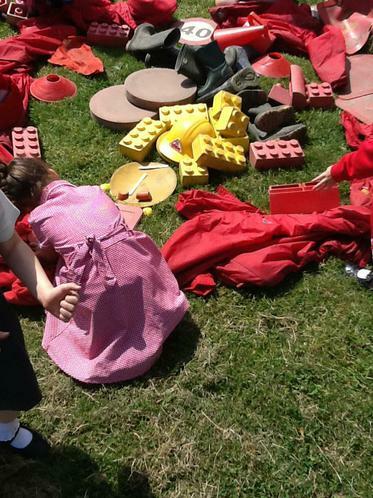 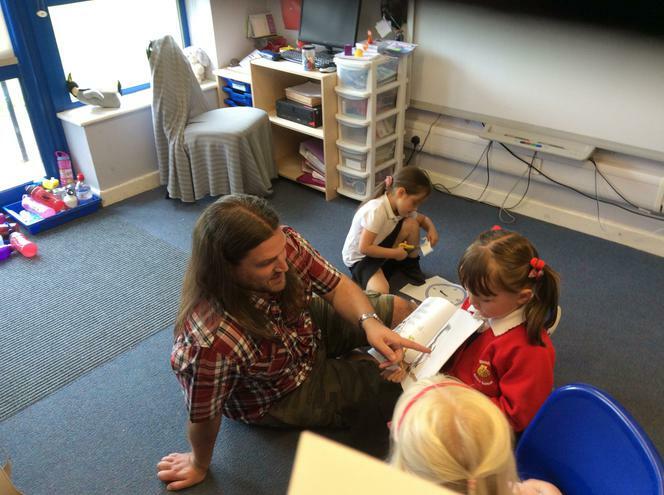 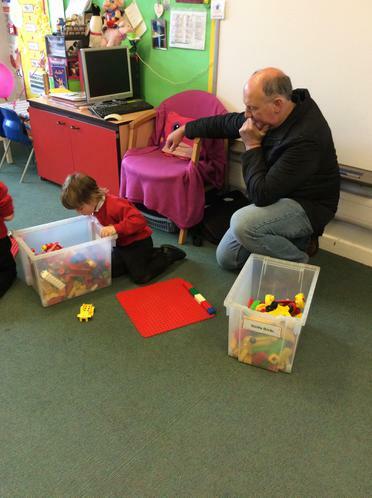 They all really enjoyed learning about castles and have done lots of roleplay. 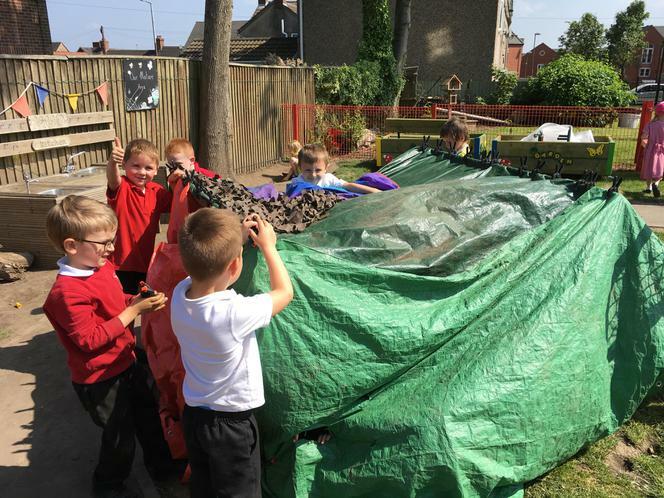 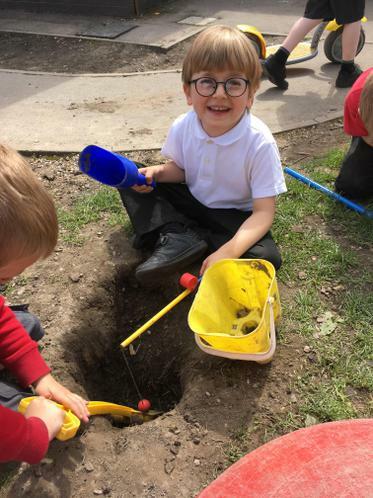 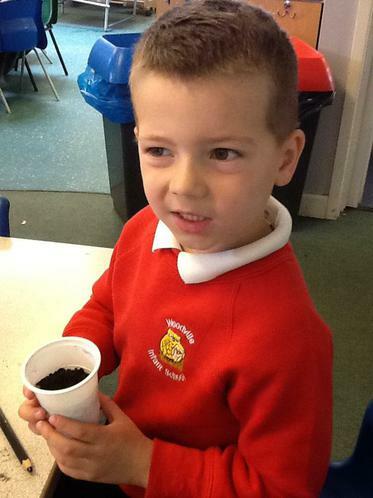 The children have planted their own bean and will be taking it home to watch it grow. 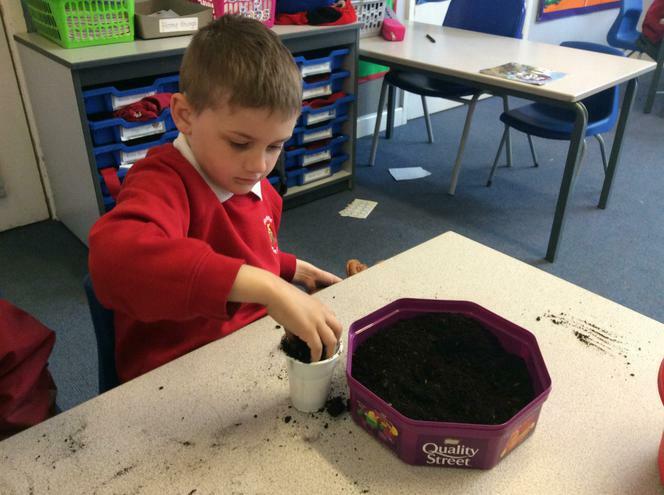 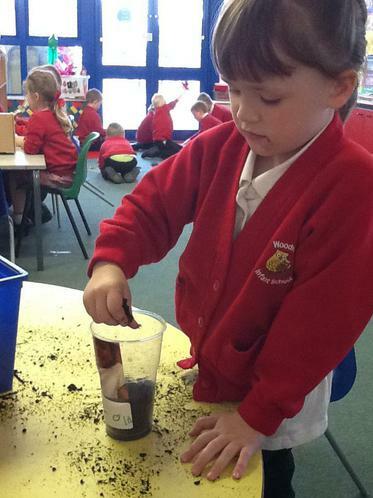 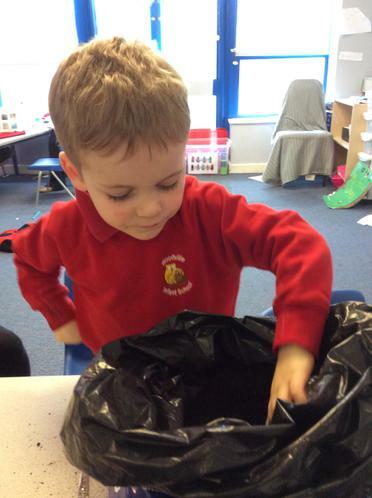 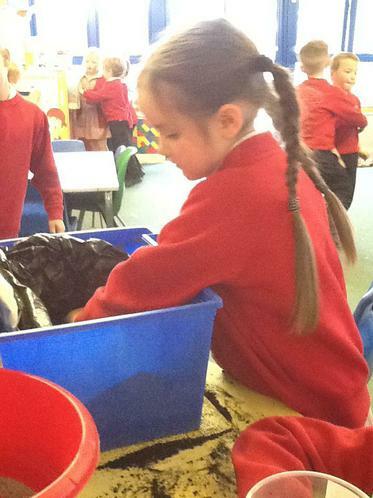 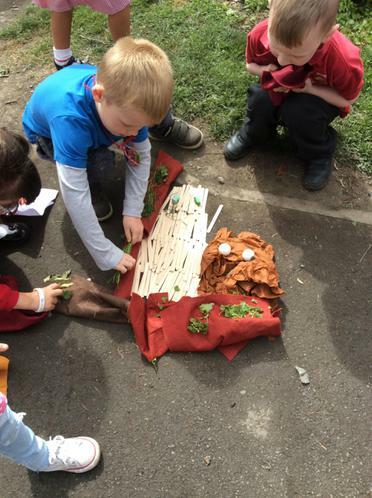 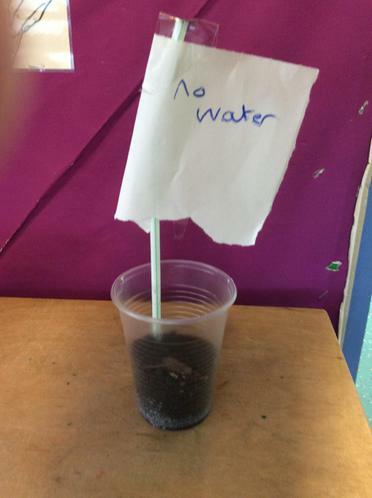 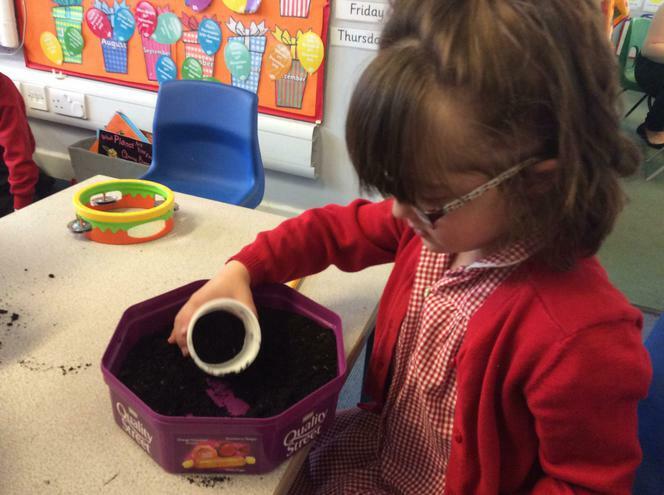 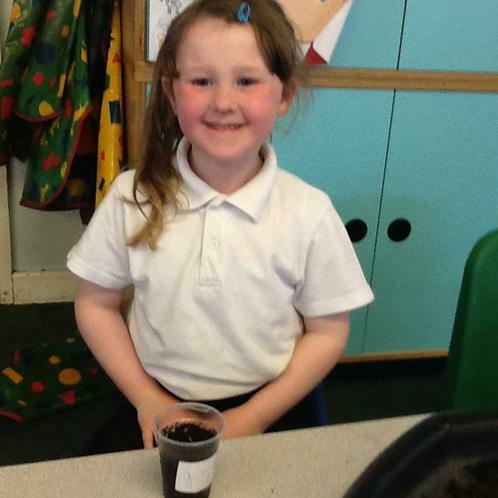 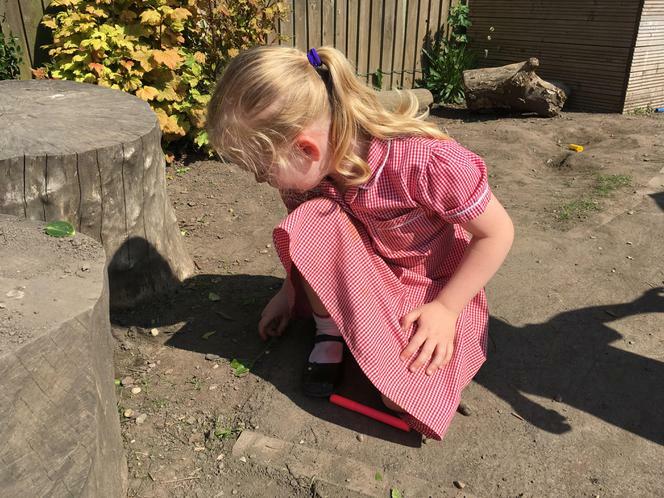 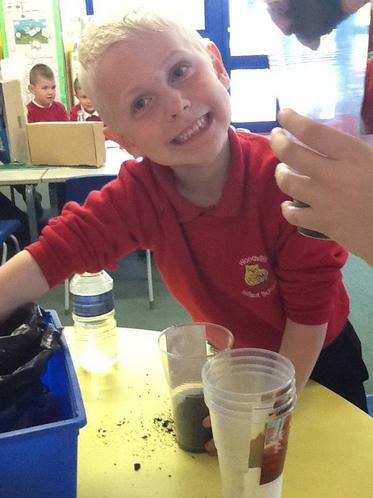 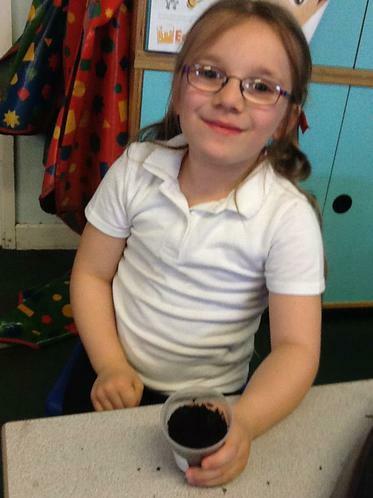 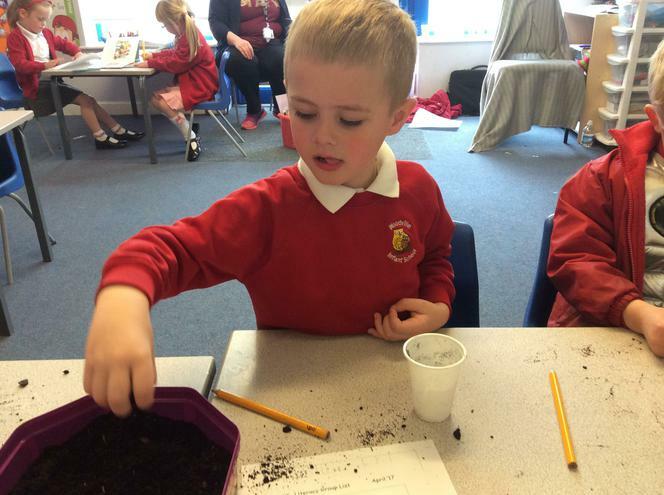 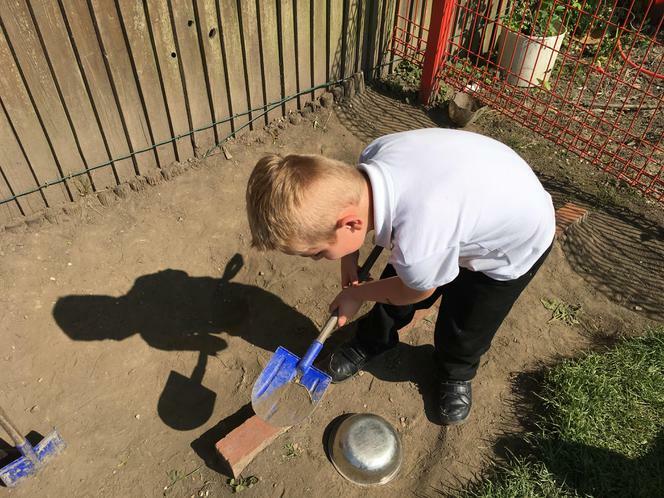 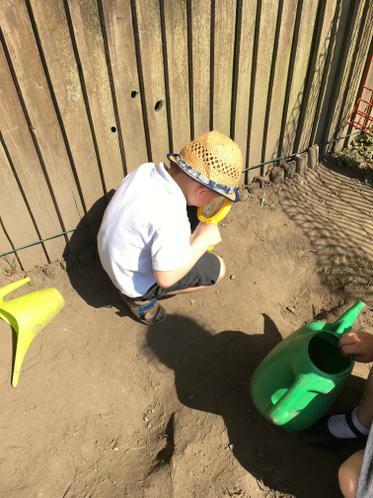 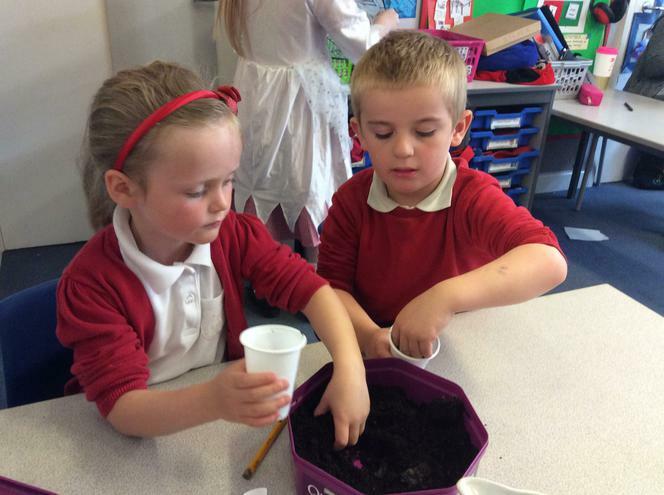 In school, we are carrying out an experiment to see what plants need to grow. 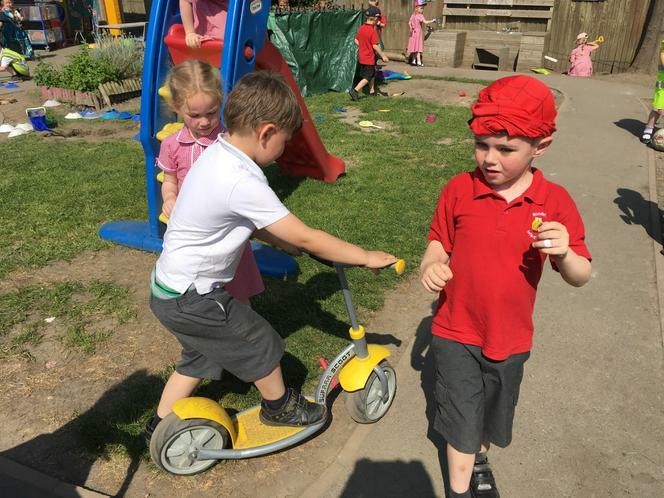 Do you know? 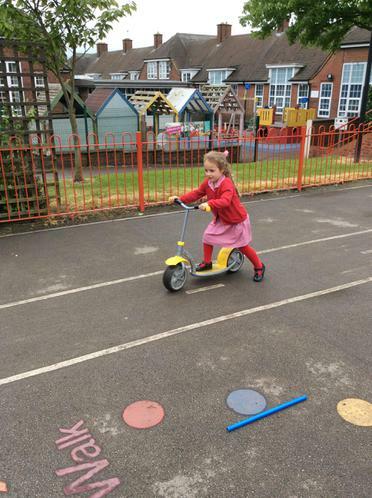 And finally this week the children have been practising their independent writing. 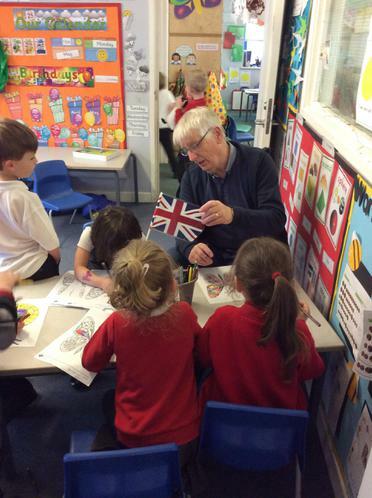 If you would like to do some at home and bring it in to show us, you can earn a stamp. 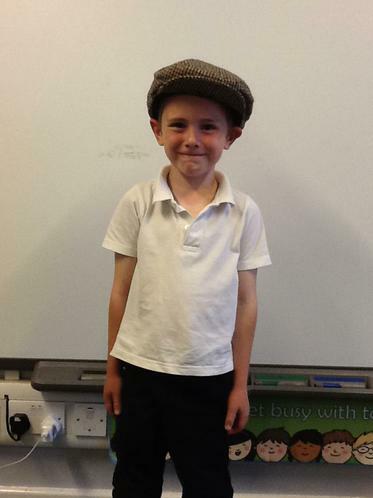 Have a lovely weekend and enjoy bank holiday Monday. 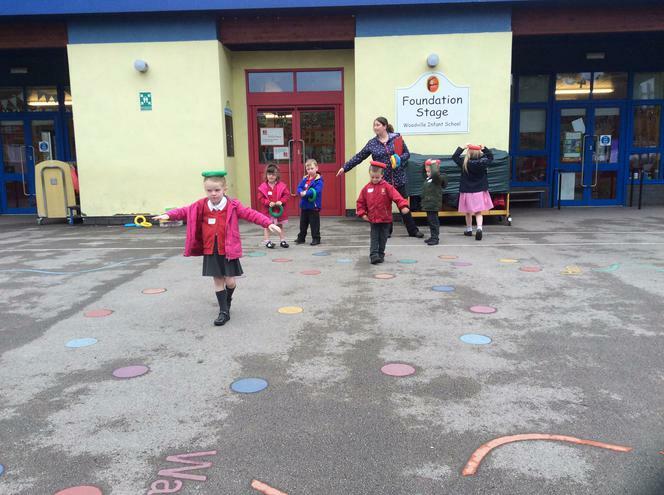 See you all on Tuesday.